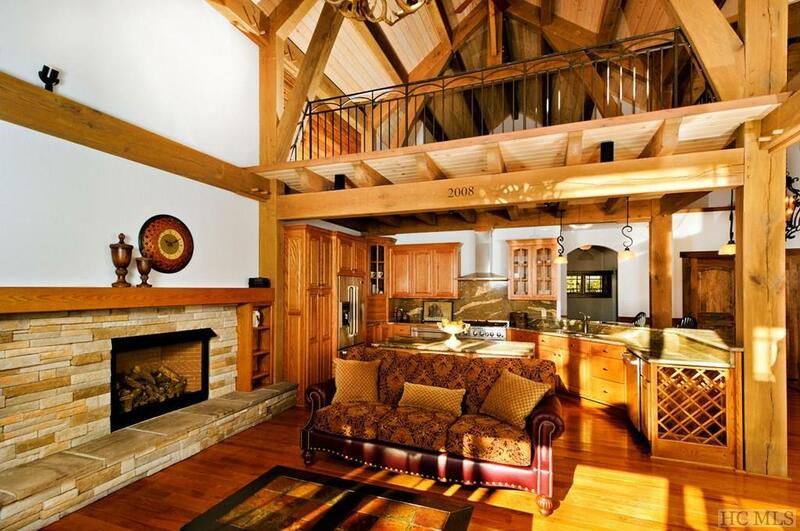 This unique solid white oak Timber Frame is nestled in the trees at over 3200 ft elevation in a Lake Nantahala community. 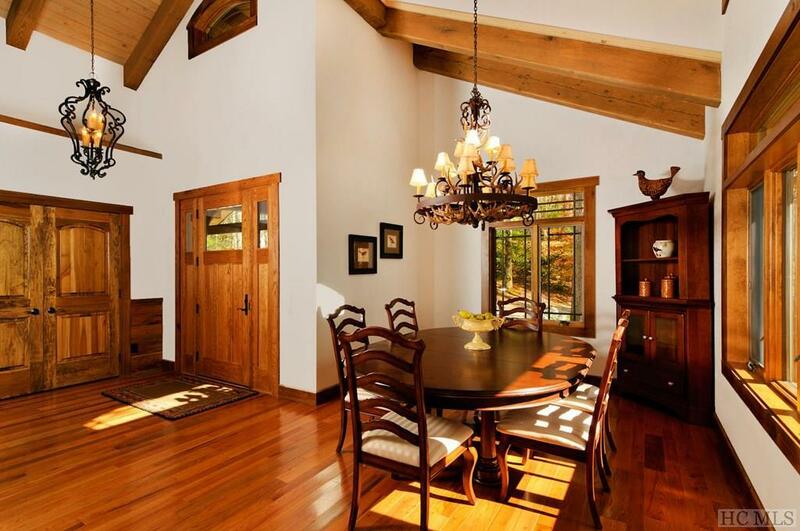 Much of the wood to construct this home was harvested from onsite.Common area with boat slip is available for the 1800 acre lake which is virtually surrounded by US Forest Service. Main level living with custom details in every room. 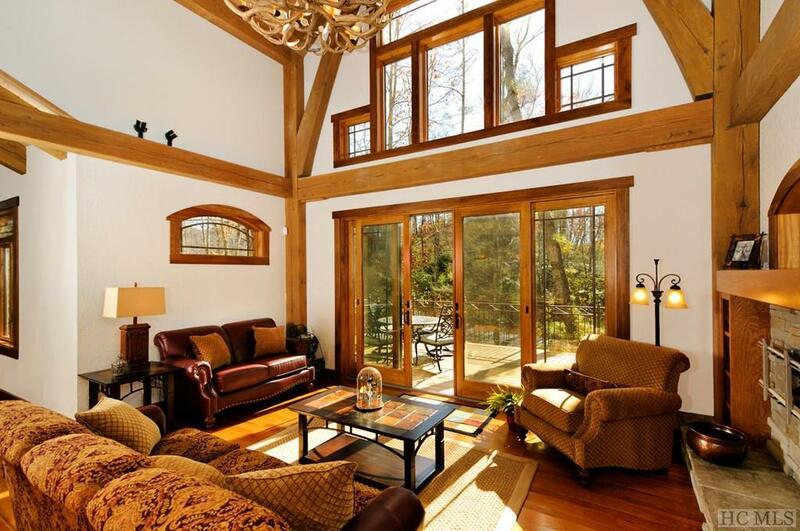 Vaulted ceilings, beautiful hardwood floors, gas fireplace and the great room opens to the deck to enjoy your natural surroundings. Chef's kitchen with granite and stainless steel appliances opens to living area for entertaining. The spacious master bedroom has an en-suite bath with heated floors, tiled shower, and jetted tub. The lower level has guest bedrooms, media room with 5.1 Cinema System, audio system, and a controlled lighting system. Cork flooring on loft and terrace level. 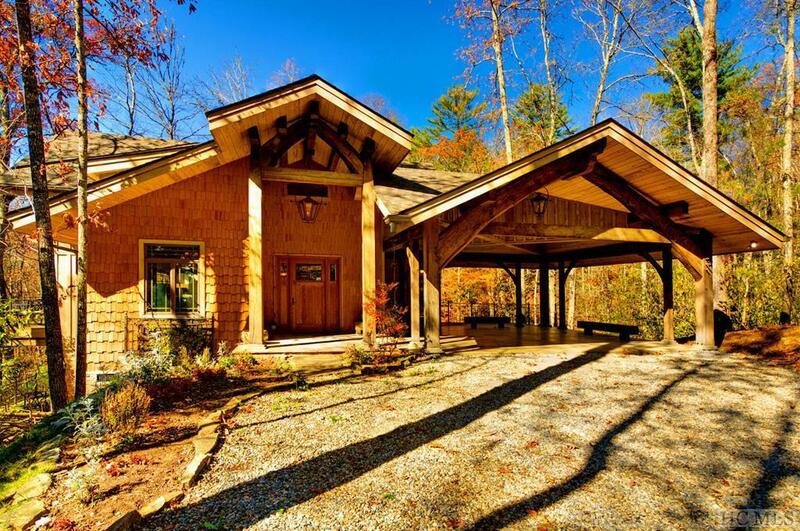 This is truly a perfect Lake Getaway or year round residence located in one of Western North Carolina's unspoiled areas! Listing provided courtesy of Evelyn Owens of The Village Realty Group Of Highlands-Cashiers.